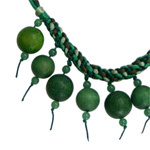 A lovely necklace designed by artisan Benjamas. 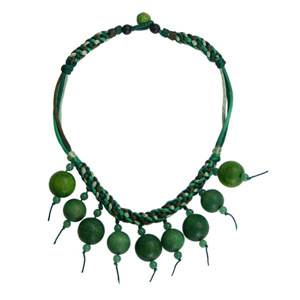 She plaits the necklace with colorful cords and attaches kapok wood balls to it. 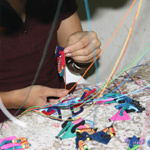 It fastens by inserting a small ball inside a hoop.